Aron Messing was born in the Polish town of Argenau, in the province of Posen, in 1840. 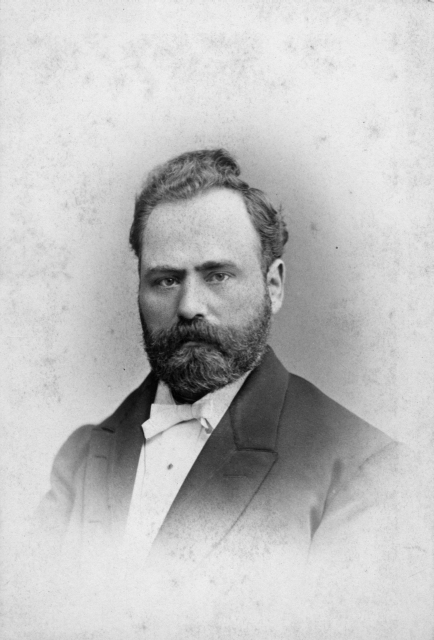 He came to the United States in 1866 and served Orthodox congregations in New York and Chicago. 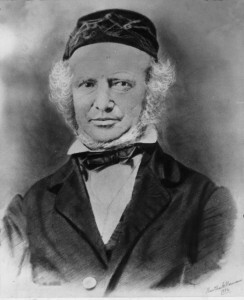 In April 1870, Congregation Sherith Israel of San Francisco elected Aron J. Messing their rabbi after Rabbi Henry had retired. He accepted the offer, which came with a salary of $3,000 per annum — a very large sum at the time. That same year, Rabbi Messing married Fanny Glogosky of Chicago. Rabbi Messing got off to a fine start upon his arrival. He dedicated Congregation Sherith Israel’s new building in August, and his sermons were to standing room only. 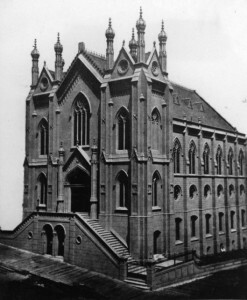 Messing’s un­derstanding was that Sherith Israel was an Orthodox (or quasi-Orthodox) synagogue. He harshly criticized Rabbi Elkan Cohn, leader of the city’s Reform Congregation Emanu-El. Rabbi Messing was unaware that important members of Sherith Israel favored modest reforms in practice, such as mixed seating of men and women. However, he did not realize — or perhaps did not accept — that in America, it was not the rabbi but the congregation, usually acting through its board, that deter­mined practices and policies. He continued to speak out against the mixed seating, but this reform had been a popular one and widely accepted — even by those who had opposed it originally. Early in 1871, Sherith Israel indicated their approval of Rabbi Messing by raising his annual salary to $3,600. But shortly thereafter, he gave a speech that spelled the beginning of the end of his tenure. Messing was invited to address the membership of the Columbia B’nai B ‘rith Lodge on the occasion of its second anniversary. In his lec­ture to a large audience, composed of all elements in the city, Rabbi Mess­ing denounced Reform Judaism and said that those who were part of that movement should not be given honors or positions of trust within the Jewish community. It was embarrassing to those members of Congregation Sherith Israel who were present, and a shock to others — especially mem­bers of Congregation Emanu-El. Eight months after this speech, Rabbi Messing gave notice that he would not be a candidate for re-election when his contract expired in 1873. 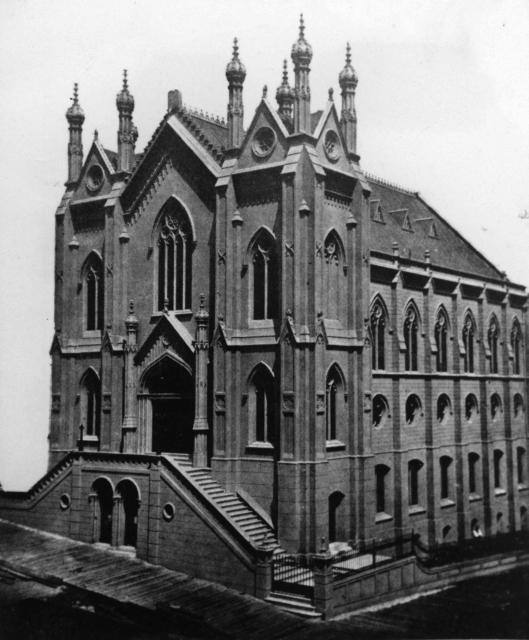 Four years later, Rabbi Messing was back to San Francisco, this time serving Congregation Beth Israel, an Orthodox synagogue, with grand success from 1877 to 1890. Norton B. Stern, “Rabbi Aron J. Messing: Orthodox Rabbi and a Reforming Congregation in Nineteenth Century San Francisco,” Western States Jewish Historical Quarterly 15/3. Rabbi Aron J. Messing, “Rabbi’s Survey of His Nineteenth Century Career in the West,” Western States Jewish History 22/2. Norton B. Stern, “Rabbi Aron J. Messing #1,” Western States Jewish History 41/2. Norton B. Stern, “Rabbi Aron J. Messing #2,” Western States Jewish History 41/2.